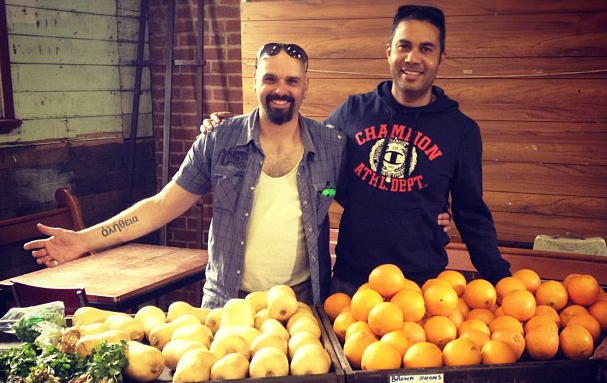 The Flemington People’s Pantry is a Food Rescue and Redistribution Project run by and for members of the Flemington/ Kensington and Ascot Vale public housing estate communities. The Pantry redistributes food to 50-80 people each Wednesday between 2-3pm. (February to Christmas). Tea and Coffee is served from 1.30pm in the Food Hall and Spanish Lounge at 12 Brighton Street Flemington. Local volunteers order, collect and redistribute food from Foodbank Victoria. The Wednesday program is an activity of the Newmarket Baptist Church who seek to build community connections by initiating and supporting various local food initiatives. This entry was tagged pantry people, people's pantry, slider. Bookmark the permalink.